First let me say I love Halloween. Second let me say I love most of what I make (LOL! I do!). 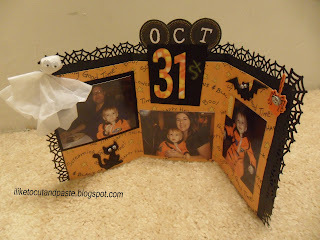 So to pick a favorite Halloween project-well I had it narrowed down to 3. They are like my children! So I chose this pumpkin. 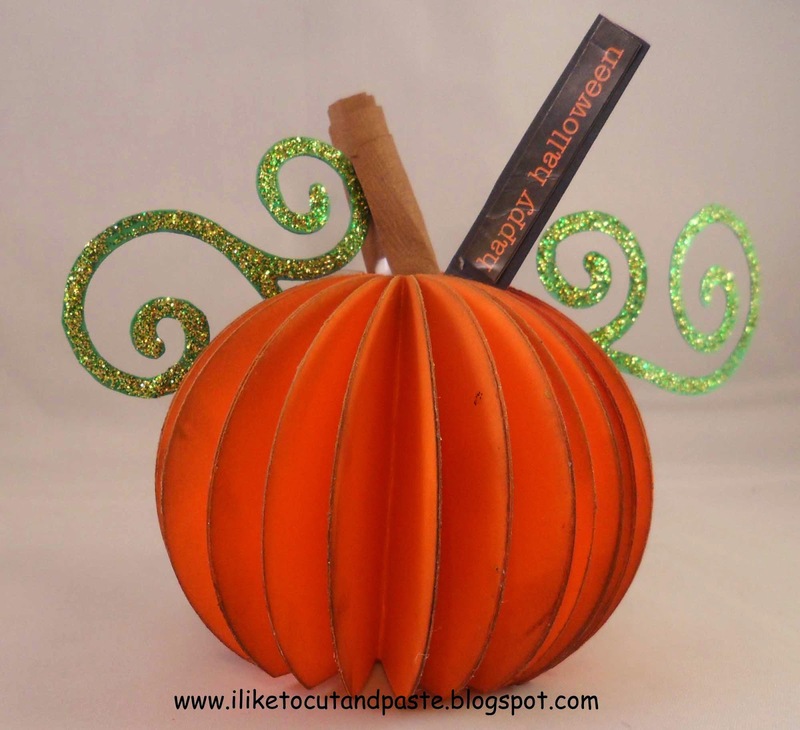 I love this pumpkin because it's easy to make (if you like making punches) but is impactful. I love 3-d paper things. This is one of my faves too. It's from Oct 2011. That seems so crazy! It's before my hubby bought me a photo box. Ahh...my early days in blogging. :) It's a tri-fold display. I used a paper bag as the structure. The ghost is made from a target bag. Here are 2 more favorites. I recently made this with Great Impressions Stamps. 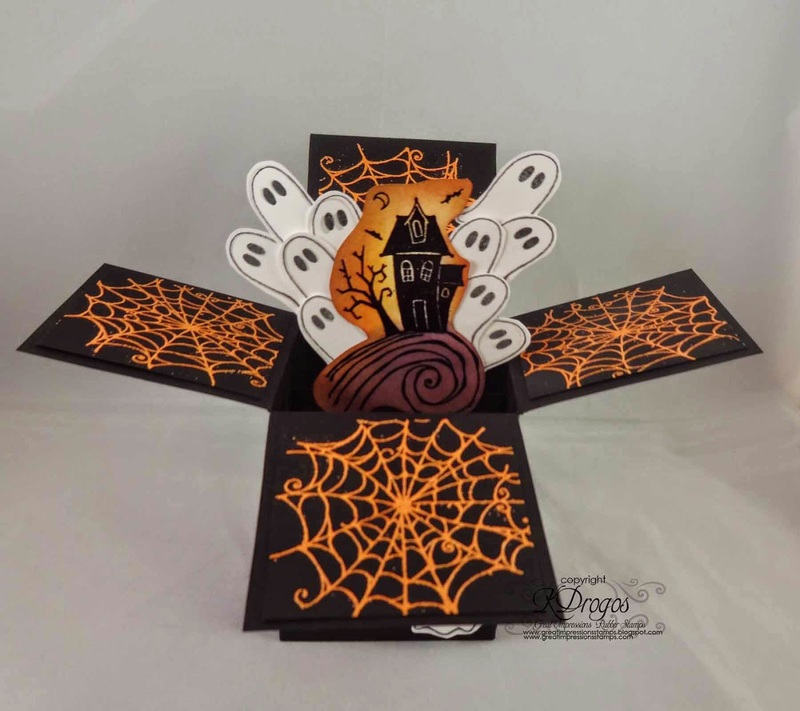 I love pop out cards! 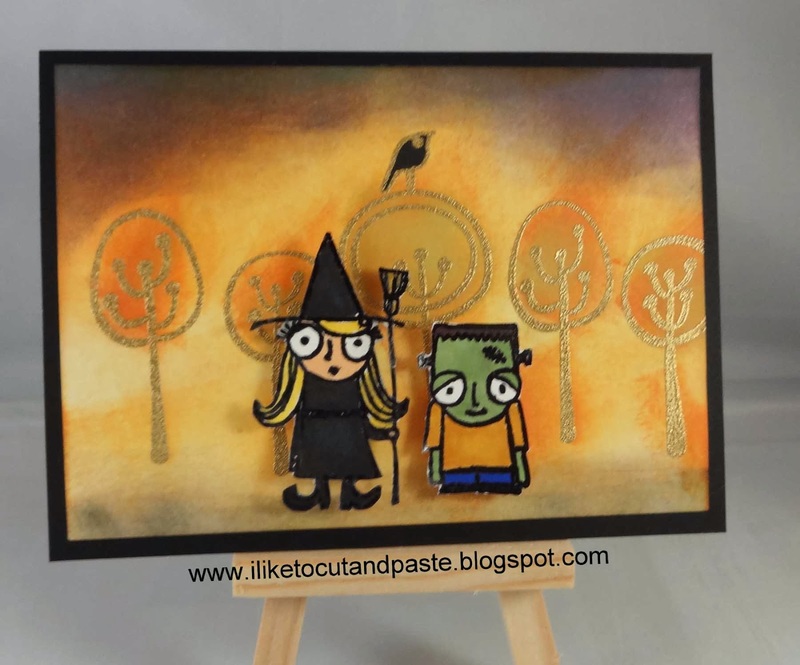 Be sure to stop by and see the rest of the teams favorite Halloween projects. And be sure to share yours! I love going down memory lane!! These are all FABULOUS!! LOVING that pumpkin!!!!!! Katy, my favourite is the trick or treaters! We dont do Halloween here in South Africa but I reckon if we did - I would have loved to get that card. I also wanted to come by and say a thank you for leaving a comment on my tag. Much appreciated!